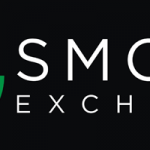 The Smoke Exchange (SMX) is pleased to announce that it will accept Dopecoin (DOPE) & Bitcoin (BTC) in addition to Etherium (ETH) during its 2nd Round of ICO Funding, scheduled to begin shortly before Christmas. ICO investors who choose to invest with DOPE will receive a 10% bonus on their SMX tokens. The 1st round of ICO funding focused on obtaining the necessary funds to develop and deploy the technology needed for the advertising exchange. Additional funding raised will be directed towards further expanding the human resources infrastructure in order to increase the speed at which the project is deployed and expand its scope more quickly. Business development and customer acquisition will become the main focus as we work on rapidly expanding into the marketplace by aggressively marketing and promoting our platform. The Smoke Exchange is also excited to announce that a token burning feature is being implemented as an incentive to create value for investors and early adopters. Every time SMX is used on the actual advertising platform a fraction of each transaction will be redirected to a burn address until the total outstanding supply has been reduced by 75% of the initial offering. The implementation of the burn feature provides a deflationary mechanism through which token holders will benefit from steadily increasing price appreciation as the project matures. 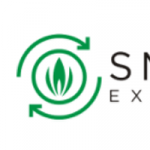 The Smoke Exchange will deliver a revolutionary self-serve advertising platform specifically designed to benefit the currently under-served and ever expanding legal cannabis market worldwide. Its implementation will represent a digital marketplace that will enable advertisers and publishers to buy and sell advertising space on a real time auction based bidding platform. Currently, the SMX tokens from round 1 of the ICO funding have been released to investors. SMX tokens have not yet been listed on any public exchange. Tokens will become available to the general public again during the second phase of ICO funding (without the bonuses offered to those participated in Round 1) on a date soon to be announced.